Whether you’re an oceanholic, sunshine aficionado or you’re gunning for adventure – summer is the season on everyone’s minds. And let’s face it, life is better in flip-flops! We’ve got a sizzling selection of summer villas in Europe that’ll leave you sun-kissed and rejuvenated with a sprinkling of culture. We’ve chosen the best from the bunch and we’ve even dished out our top seasonal tips. What are you waiting for? It’s your chance to make this the best summer yet! Oh, and be sure you check out our sizzling last-minute summer offers – with savings of up to 50% you do not want to miss out on these incredible deals. If a Grecian getaway tickles your fancy, feast your eyes on Sea View Villas. Up against the scorching Cretan sun, SPF 50 is a must – after all, who could resist the impeccably blue private pool. When in Greece, eat plenty and drink regrettable amounts of ouzo. Oh, and you’ll be pleased to know that you don’t have to endure night upon night of cooking, we recommended having dinner at the Sunset Taverna – serving mouth-watering traditional Greek dishes. Summer tip: It’s all to do with balance. Eat, drink and be merry, but make sure to balance the palette with some fruit and veg. The greeks have somehow perfected tomatoes, but if all else fails – a fruit platter for dessert will suffice. Within a two-hour flight from London, lies the oasis that will guarantee your best summer yet. This country-esque villa in the South of France is simply magical. The private pool is a flawless accompaniment to the white wine grape Bourboulenc. Enjoy a bottle or two while you dine al fresco on the terrace, surrounded by impressive views of the neighbouring vineyards and sunflower fields. You can even keep the little ones entertained with a flower crown contest. We know you’ll cheekily get stuck in too. Summer tip: See the medieval villages Languedoc has to offer, but don’t worry if your itinerary comes undone. Holidays are all about getting lost in new experiences, so if you happen to lose a few hours in the local market – it will be hours well spent. 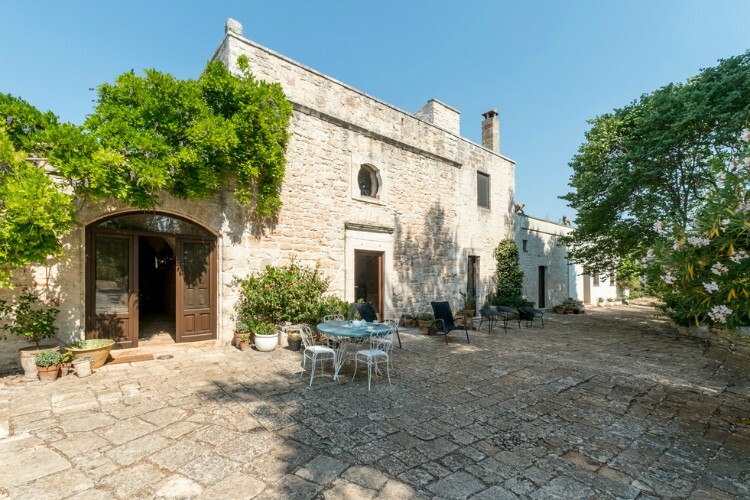 At Villa Livia traditional design meets modern furnishings for a holiday home of luxurious comfort. Your little explorers will love spending hours running around the perfectly pruned gardens! Don’t worry grown-up’s; you’ll enjoy cosying up in the shade of the gazebo with a good book equally as much – either way, it’s a must to make the most of the outdoor space here. We don’t know what could be better than sunny days chilling in the private pool surrounded by palm trees – absolute heaven. Remember to get an authentic taste of Tuscan living by immersing yourself in residential village of Quercianelle or hop on the bus to the Town of Livorno. Summer tip: Rediscover the things you love to do, but no longer have time for. You might be a wordsmith, bibliophile or artist. 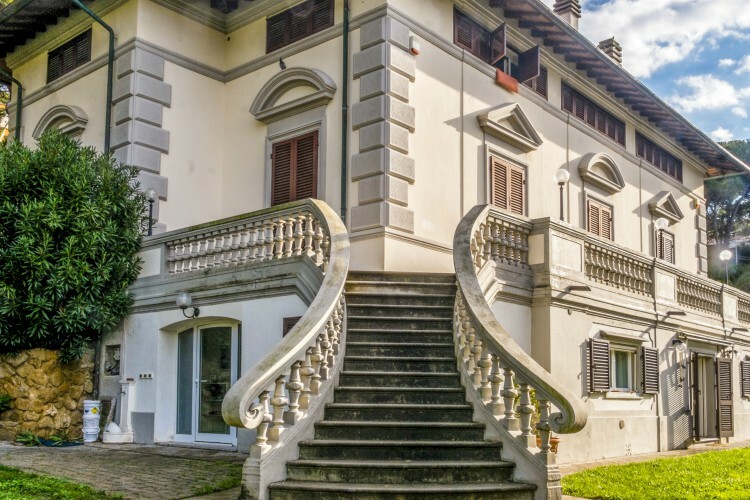 Use your time away from home to fall in love with your craft again, and what better setting than Villa Livia. Located in Grasse, the perfume ‘capital’ of France, spend your summer holiday surrounded by rose, violet and jasmine fields. Better still, in your private gated area, you’ll find have a charming little fish pond, private pool and lush plant life! Summer tip: Miramar Plage is the best oceanfront restaurant. Not only will you eat some of the freshest seafood around, but you’re also in the primal spot to catch the sunset. Though we want you to enjoy your villa, it’s equally important to travel authentically (that includes local eateries). 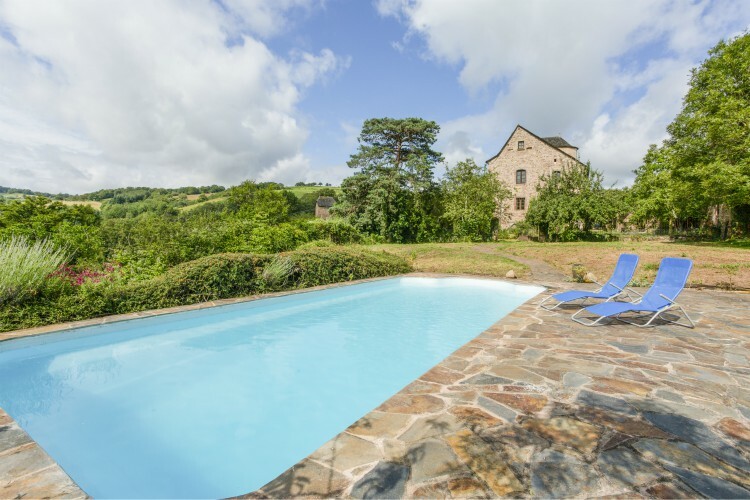 Guests upon guests have had an unforgettable summer at Moulin Du Pit. As a result, they’ve come back time and time again. Though you’ll have total freedom, the owners love to share local information. Anything from the best wineries, to the best spots to canoe on the lake nearby. With the Dordogne at your doorstep, there is plenty for all interests to explore. But the moments you’ll best remember are the ping-pong wars between family members, the laughter coming from the pool and the home away from home feel. And if you’re bringing younger kids, you can exhale a sigh of relief knowing the pool area is enclosed. Summer tip: Life is about those little micro-moments that bring us happiness. So swap your Facebook scrolling for headspace. Leave the phone in your bedroom and make the most of Moulin du Pit. Lap up the summer like a royal! Sound up your street? That and more awaits at Villa Ferragudo. The holiday home once housed a royal princess and though it still belongs to the Portuguese Royal family – it’s yours for the taking. A summer here is great for larger families and friends as the villa can sleep up to a whopping 19 guests. As a waterfront villa, you’ll only be a few minutes from the beach. Curl your toes beneath the sand, embrace the waves and once you’re beached out, come back to the villa and spend the evening by the pool area. Summer tip: The Portuguese heat is a scorcher, which is why it’s so important to stay hydrated on holiday. It will help you combat holiday tiredness and it will keep your skin from drying out too. It’s a win-win! But if you’re a little bored of drinking water, add some fresh fruits to infuse the flavours. Is the French Riviera calling your name? Take a look at the snazzy Mas de Saint Paul for your next summer getaway. You’ll be torn between staying inside or seeing the neighbouring sights. Of course, you can have both, but what will you do first? We recommend visiting the famous Fondation Maeght Museum which is just a 10-minute walk away. After a spot of lunch nearby, stroll back to your villa for an afternoon of tennis, boules, swimming or lazing about on one of the terraces. Summer tip: 9 out of 10 people are more than likely to bring a pair of sunnies on holiday. But that doesn’t mean you’re eyes are protected. You need to make sure your sunglasses protect you from UV rays. Here are a few eye protection myth busters you need in your life! A converted chapel set among medieval towns, there’s history on your doorstep at Villa San Michelle. Not to worry, for those who can’t live without their modern comforts, there’s entirely nothing medieval about the furnishings in this villa! Charming antiques coupled with modern trinkets make for an oh-so-chic interior. So, after hours soaking up the heat on sun-loungers in the exotic gardens, there’s no better place to take a kip than your comfy double beds! There’s an authentic wood fire oven, so the whole clan can get stuck in making pizzas then sharing laughs until starlight with some alfresco dining (save us a slice!). When you don’t fancy cooking, have a meal at Osteria Pugliese for some world recognised grub. Summer tip: We wouldn’t blame you for wanting to spend every waking minute splashing in the private pool. But don’t forget the importance of shade, especially during peak sun hours. Getting some shade under the covered veranda is the perfect way to enjoy outdoor life but avoid nasty sunburns – you’ll thank us for it. Who wouldn’t fancy spending their summer plunging into the deep blue waters of Villa Sunset? Found within the small village of Bilice, you’ll have everything at arm’s length. Perfect for families, couples and friends – this villa strikes the perfect balance of privacy with inclusivity. Early risers can grab a lounger by the pool, the teens can enjoy a lie in and together you can enjoy the cosy dining area that will be the host for many memories. Summer tip: We’re all up for indulging on holiday, but there’s no excuse not to stay active. Whether that’s laps in the pool, morning yoga or YouTube videos to help burn those excess calories. At least you can enjoy the sweet treats, minus the guilt. Our guests can’t help but fall in love with this colourful haven. Not far from local villages and beaches, you’ll have plenty to keep you busy. 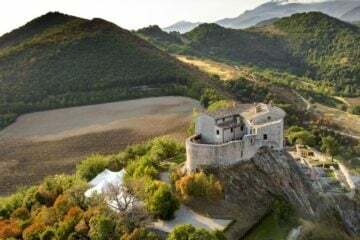 The castle at the top of the hill can also be seen and walks through the countryside among olive and almond trees are recommended. You’ll spend the majority of your time on the large terrace, perfect for fresh lunches or meaty barbecues. 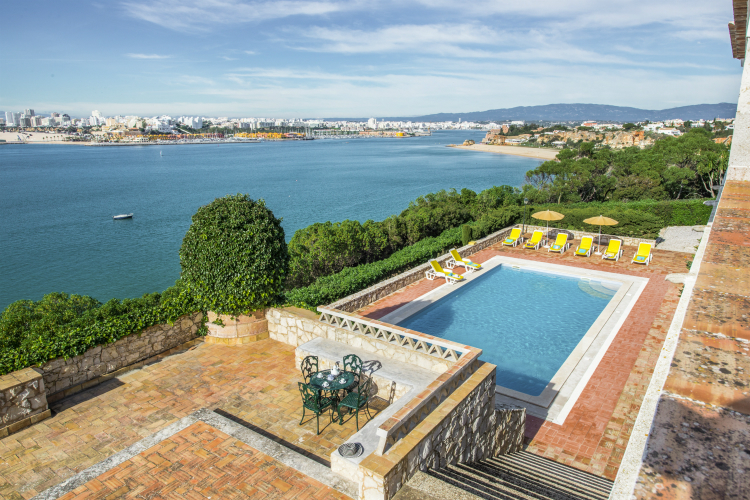 You’ll also be close by to the inviting pool, surrounded by sun loungers – so make sure to top up that Spanish glow. Summer tip: Did you know, olive oil can protect against UV damage? In fact, the fatty acids in the oil help the skin stay supple. If you can sneak in a tablespoon daily, it will help keep your skin in tip-top condition. Looking for a French getaway with a touch of magic? Well, surrounded by vibrant sunflower fields, trickling streams and lush greenery, Maison La Roche has all the enchantment you need for an unreal escape. 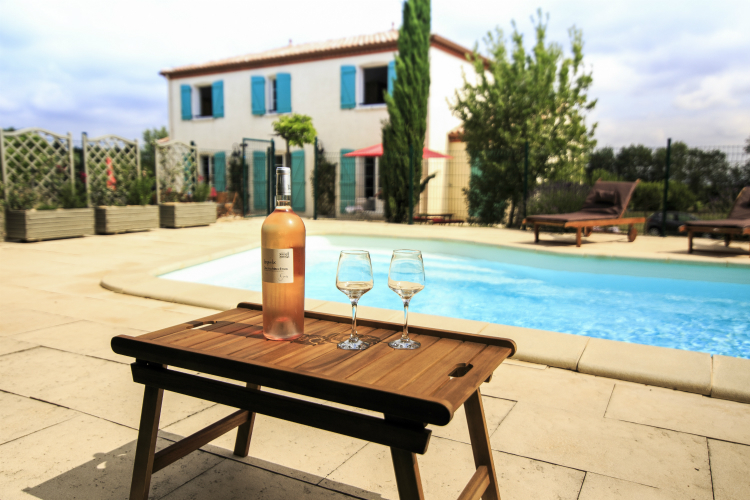 There is loads to do nearby; so get to exploring the charming town of Nanteuil-en-Vallé, take a wine-filled trip to Bordeaux or quiet walks through the village of Aunac. When you’re not up and at ’em, the rural setting of this spacious farmhouse make it the perfect place to relax. Exposed brickwork and wooden beams give a rustic warmth that’s ideal for some well-earned rest. Summer Tip: As much as it’s tempting to stay chilling at your lush holiday home, when abroad its a must to get out and explore some history. 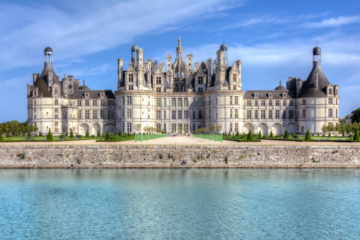 Angouleme is approximately 30 minutes away and there are loads of historic sights to see including Musée d’Angoulême – so check out what’s around! You really don’t have to go far to enjoy the beauty of the Cote D’Azur here. Start your days lazing in your beautiful private garden with the perfume of oleander and lavender in the air. Then by evening, grab a glass of wine and enjoy views of rolling waves under the hues of the sunset from the comfort of your terrace. Summer Tip: You’ll be just a stroll away from the sandy coves of Vergeron and other popular beaches such as Plage de Sylvabelle, so don’t forget your beach towel! All Oliver’s Travels customers get an exclusive 20% discount on any beach product from Sun of a Beach. Just log on to your VIP account to access your code in the ‘Partner Offers’ section! Filled with family heirlooms and artwork, this inviting property might just be your new home-away-from-home. 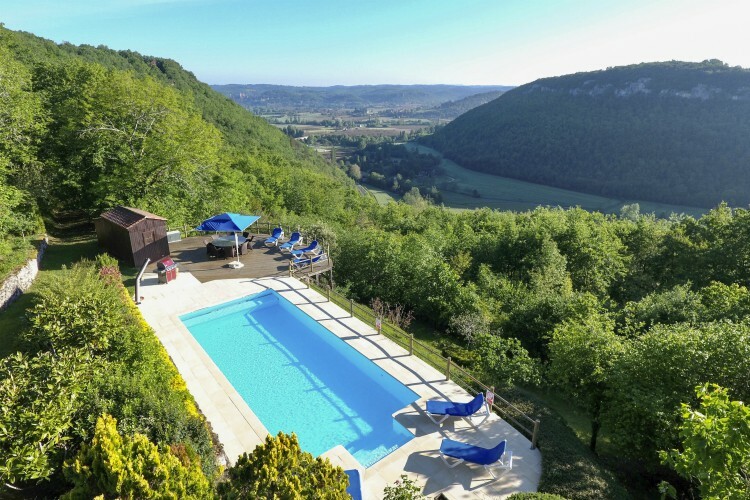 Sat on a private hilltop, the views you’ll have over the lush valleys of Dordogne are nothing short of mesmerising. Unwind in perfect peace, whether that’s cuddling up by the fireplace or taking a refreshing morning swim. 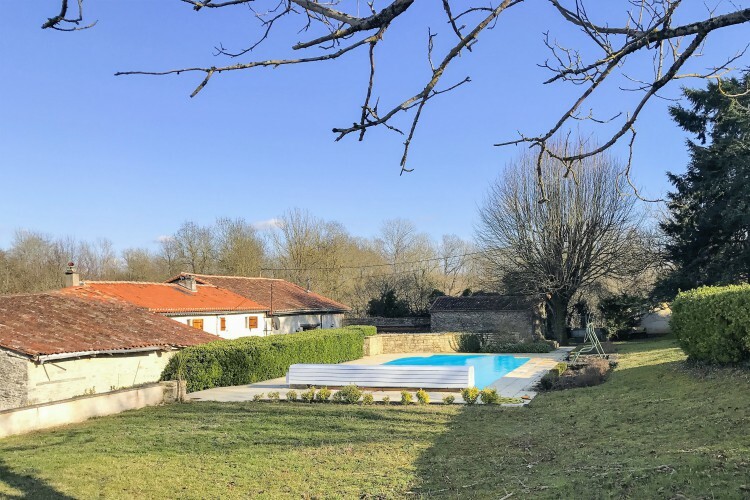 Get a taste of the “real” Dordogne with visits to the local village with all the amenities you need. Why not hire a bike and explore the town or take a romantic canoe trip down the river? Summer Tip: Don’t be afraid to immerse yourself in French culture and experience the Dordogne in full authenticity, bike hire is a great way to get around! Oh, and the local village is the perfect place to grab some grub. The crisp all-white interiors of this super-chic property are totally Instagram worthy and full of surprises! There’s a baby grand piano for those who are musically inclined and a clawfoot tub in the bathroom that’s perfect for relaxing bubble baths. The homely fireplace will be your go-to spot for cosy evenings indoors. As well as this, the professional La Canche stove is great if you fancy yourself a bit of a chef. Our favourite part? This fab luxury property is set away from the main road in the tranquillity of its own private gardens filled with fragrant lavender and rosemary – sheer bliss! 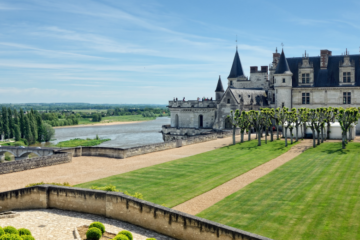 Summer Tip: Saumur is famous for its fantastic wine, so treat yourself to a tipple or two during your stay. Tasty local restaurants can provide meals with the perfect wine pairing. 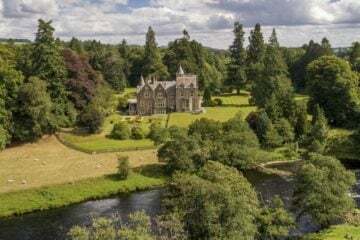 The original stone walls and medieval style decoration hint at the long past of this 14th-century villa; from intricate textiles to the medieval style art. Nearby, there are farmer’s markets that sell fresh produce and outdoor stalls where you can find loads of gems including provençal fabrics, herbs/spices and small pieces of furniture. This is a great summer retreat from the hustle and bustle of city living in exchange for a rural lifestyle. Summer Tip: Get your taste buds tingling with some local delights! You could visit a local boulangerie for some scrummy baked goods or try your hand at making a local dish like Confit de canard using ingredients from the farmers market. Now, we’re sure that tantalising selection has got you planning this year’s summer adventure! If none of these tickles your fancy, we’ve got loads more fab properties available for this summer. If you’re looking for that extra something to make your holiday that little bit more special, you’re sure to find it in our concierge services. With everything from catering services, babysitting and local tours on offer our concierge team can organise it all.